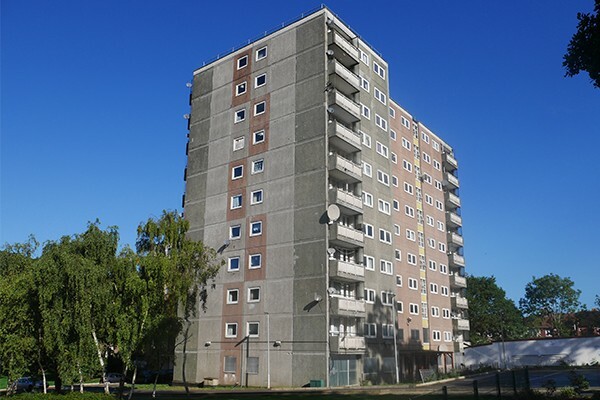 Allen Court was an 11 storey tower block in Ealing. 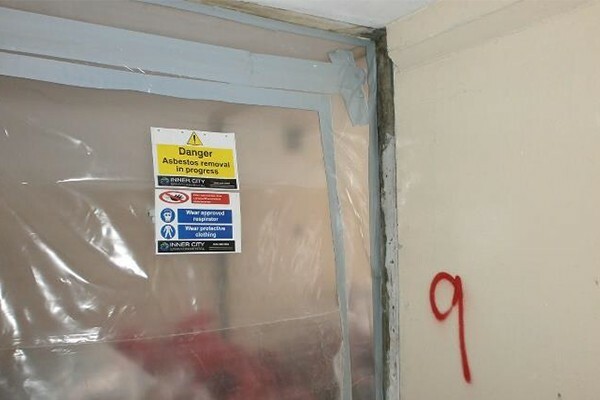 We were employed to remove all of the asbestos containing materials (ACM's) prior to the building being demolished by the demolition contractor. 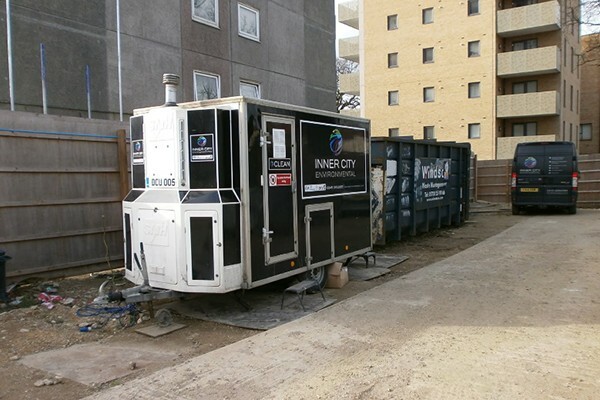 We were appointed as the asbestos removal contractor for Allen Court by Downwell. We were issued with the demolition and refurbishment survey and asked to remove all the asbestos containing materials contained within the survey so the demolition of the building could commence. 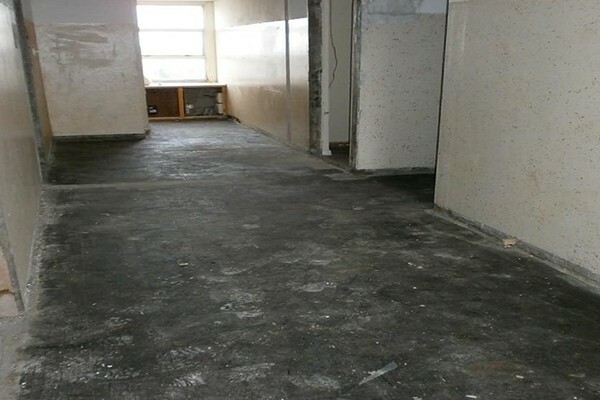 The work consisted of the removal of all asbestos panels identified within kitchen cupboards throughout the building. The enclosure method was a fully controlled enclosure with 3 stage airlocks, baglocks could not be fitted due to space. Negative pressure of a 1500cfm NPU was utilized for all areas of removal, as were uniform / identical throughout the building. The works also included the removal of asbestos soffit panels to the communal hallway on the 10th floor. The enclosure method was a fully controlled enclosure with 3 stage airlocks. Negative pressure of a 1500cfm NPU was utilized. Asbestos backed doors throughout the building were also removed. The removal method was using locally controlled conditions when removing the doors. The method of removal was to wet suppress the exposed face with suitable sufficient surfactant, then place a drop sheet below the panel. Shadow vacuum when unscrewing the hinges from the door frame, once removed whole it was placed straight in to an asbestos regulation door bag. There was also various non-licensed ACM's identified in the survey. The removal of floor tiles was done under locally controlled conditions with wet suppression techniques employed. The removal of the textured coatings was done under locally controlled conditions with wet suppression techniques also employed. Textiles, Cisterns & Bunny burners were removed under locally controlled conditions employing wet suppression techniques and shadow vacuuming at all times. The project was completed safely and well within the appointed programme. This allowed the demolition contractor to commence with the demolition sooner and help them to complete the project 2 weeks ahead of programme.